Bullying takes place in a wide variety of situations, including sports teams. It occurs because the bully uses it to meet one of life's five basic needs: life, happiness, caring, control, and purpose. Bullying is harmful because, at the same time as it meets the bully's need for control, it deprives the victim of his needs for happiness and control. Philosophers have been writing about life's five basic needs for centuries. Some think that people behave the way they do in order to be happy. Others believe that people are motivated to behave the way they do because they want to live. The great nineteenth century German philosopher Nietzsche believed that the need for power was a need more essential than life or happiness. I agree with Nietzsche, but look at the need for power more in terms of the need for control, because with power you gain control, without which a person feels hopeless, although I disagree that human behavior is only about control. Instead, I believe that, in addition to control, human behavior is driven by a person's need to believe and feel that others care about them. A person who has no control over what happens to them and who doesn't believe that anyone cares about them is likely to be very depressed and, as several recent, highly-publicized bullying incidents show, perhaps even suicidal. The fifth basic need is purpose. Everyone has to have purpose in their life. So how do a person's five basic needs relate to bullying? Because the need that drives bullying behavior is, I believe, the bully's need for control. A bully tries to control the person he or she bullies. The victim, who also has a need for control, has had that control taken away by the bully. In order for the bullying to stop, the victim needs to take control back from the bully by refusing to let the bully continue to exert control, becauuse, if the bully cannot control the victim, s/he will stop. How the victim takes back control isn't always easy, of course. Punching the bully in the nose is one option, but violence is not a good solution for obvious reasons, and will usually result in both the bully and the victim being disciplined. In the sports context, a better approach is for other team members to confront the bully and tell him or her that the bullying has to stop. A good coach asks the team to agree on their purpose. Besides trying their best and exhibiting good sportsmanship, one purpose should be that all members of the team will support every other member of the team. 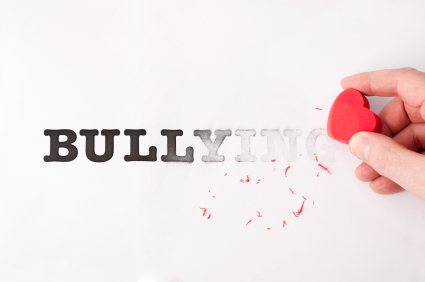 If that is an agreed-upon purpose, bullying behavior will be reduced, because if one team member is bullied, the other team members will intervene. If you have a child who is the victim of bullying behavior by a teammate, and the other team members don't stop it, here's what I recommend you do. First, request a meeting with the coach. Explain the situation and ask that the bully be asked to attend. Second, see what you can do to make sure your child has friends who will support him or her. Bullies tend to pick on those who have few friends. Invite some members of the team overnight to your house and help your child cultivate friends. Also, give some thought to enrolling your child in a self-defense class. Step One: Make sure everyone knows their purpose. Step Two: Give them control to achieve that purpose. Step Three: Value them and let them know you care. Steps Four and Five: By using this process, you create a situation where they are happy and enjoy life. Dr. Cletus R. Bulach is a retired Ohio school superintendent and associate professor emeritus at the University of West Georgia. He is the author of numerous articles in educational journals and is co-author of the book Creating a Culture for A High Performing School: A Comprehensive Approach to School Reform, Dropout Prevention, and Bullying Behavior. His website is www.westga.edu/~cbulach.